Join us in celebrating Martin Luther King Jr. and the global impact of the civil rights movement alongside ‘The Daily Show’ host Trevor Noah. Click here to buy tickets and learn more. The theme of the 2019 MLK Celebration is “The Global Impact of Civil Rights.” As part of the program, Sanders and Noah will discuss “Born a Crime,” the life and legacy of Dr. King, and the worldwide effect of the civil rights movement. The event also includes musical performances and presentation of Unsung Hero awards to five individuals. The event begins at 5 p.m. with dinner near the Dome’s west end zone, followed by the main program from 7 to 8:30 p.m. at the east side. The dinner is sold out. However, tickets for the program alone are still available online; in person at the Carrier Dome Box Office (Monday through Friday from 8:30 a.m. to 4:30 p.m.); and by phone (888-DOME-TIX or 315-443-2121, option “zero”). Tickets are $5 for Syracuse University students and youths, and $15 for University faculty/staff and the public. After graduating from the Newhouse School, Robinson spent 35 years with WSTM-TV and CNY Central, first as a general assignment reporter and moving to weekend anchor and then primary news anchor—becoming the station’s first female African American anchor. She has received numerous accolades, including induction into the National Academy of Television Arts and Sciences Silver Circle in 2016 and the New York State Broadcasters Hall of Fame in 2012, the Syracuse University Chancellor’s Award for Outstanding Journalist and Syracuse University’s Woman of Distinction in 2011. 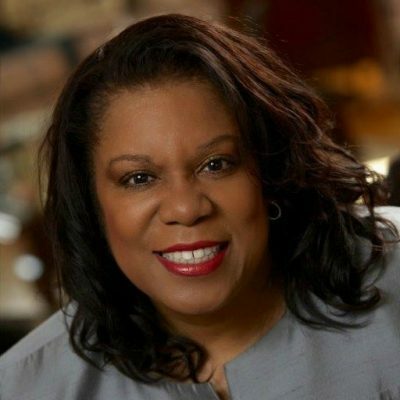 Robinson is recipient of The Governor’s Award for Outstanding African American of Distinction and was named a 1990 Syracuse Post-Standard Woman of Achievement. She has been honored with the Syracuse Press Club’s Career Achievement Award and been named to the organization’s Wall of Distinction. 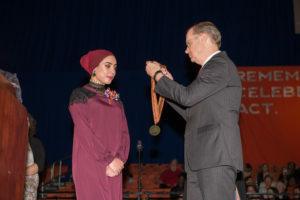 In addition, she has been recognized numerous times by The Associated Press, United Press International and Syracuse Press Club. She received an honorary doctorate from Cazenovia College. Robinson has contributed to H.O.M.E. Inc.’s efforts to improve the lives of the developmentally disabled and the YWCA’s annual Diversity Award, and she is a participant in the American Heart Association’s Go Red for Women campaign. Her other community service efforts have benefited Central New York Minority Network, the Syracuse Boys & Girls Club, the United Way of Central New York and Central Baptist Church of Syracuse. 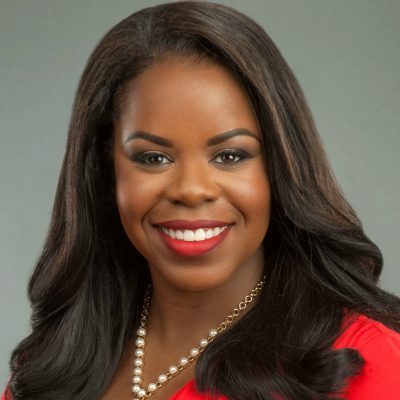 Before joining Syracuse’s ABC affiliate, Sanders was a multi-media journalist at KXII-TV in Sherman, Texas, where she was responsible for shooting, writing and editing her news and sports stories. She also hosted a weekly talk show called “Forum” in which she did in-depth coverage of key issues impacting people across Texas and Oklahoma. Prior to that, she was a writer/web producer at KDAF-TV in Dallas-Fort Worth. She started her journalism career in newspaper and radio in Seguin, Texas. Sanders is the founder of Beyond Your Lens Inc., a nonprofit that provides students hands-on education, exposure and financial assistance to become well-trained journalists in the evolving world of television and digital news. Throughout the school year, she travels to various schools and universities, hosting workshops and lecturing about the importance of journalism and how to have a successful career in news. She works with children and teens through the Syracuse City School District mentoring program and other advisory councils in the district. She also sits on the board of directors of Vera House Inc. and the board of GEAUX Lead Inc., an organization that improves the lives of marginalized youth through various service initiatives. A member of Alpha Kappa Alpha Sorority Inc. and The Links Inc.—two organizations committed to service—Sanders earned a bachelor’s degree in mass communications/Spanish at Texas Lutheran University and a master’s degree in journalism at the University of North Texas. 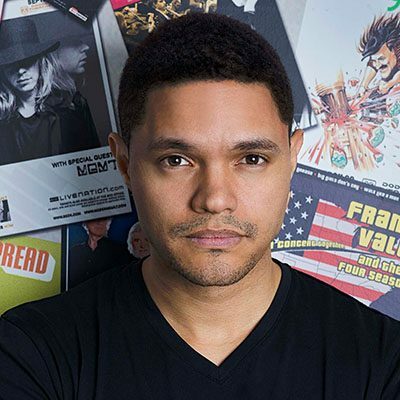 Noah is host of the Emmy- and Peabody Award-winning “The Daily Show” on Comedy Central. He joined the program in 2014 as a contributor and took over as host of the show in September 2015, upon Jon Stewart’s retirement. He began his career as a comedian, presenter and actor in his native South Africa in 2002 and through his television roles and stand-up tours became the most popular comedian in Africa. In “Born a Crime” (Random House, 2016), Noah, who was born in Johannesburg in 1984 to a black South African mother and a white European father, recounts his childhood growing up during the last days of apartheid and the opportunities and adventures with his mother in the tumultuous days of freedom that followed. 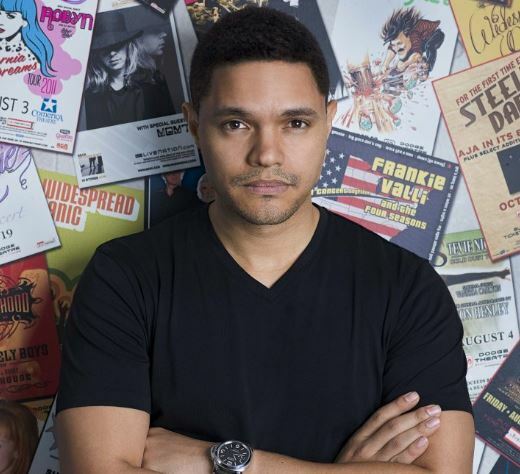 Noah’s acclaimed memoir was the selected book for the 2018-19 Syracuse Reads program, a shared reading initiative that is part of the First-Year Experience for all new Syracuse University students. The University provided more than 3,900 special softcover copies and e-copies of the book to incoming first-year and transfer students last summer. After their arrival on campus for the fall semester, the students participated in a series of five-week discussion sessions—co-led by a student peer facilitator and a faculty, staff or graduate student lead facilitator—intended to enhance the students’ understanding of the topics addressed in the book and engage them in broader contexts about identity, resiliency, inclusion and community. In addition, free copies of “Born a Crime” were made available through the SU Bookstore to other current students, SU faculty and staff with a valid SU I.D. Also, Central New York were encouraged to read the book as part of the CNY Reads One Book initiative. The MLK Celebration is the largest university-sponsored event in the nation to honor the life and legacy of Dr. King. By celebrating Dr. King each year, Syracuse University honors the values that he epitomized: courage, truth, justice, compassion, dignity, humility and service. The MLK Celebration is presented by Hendricks Chapel in collaboration with the University Lectures, the Syracuse Reads Program and media partner WAER. For more information, visit mlk.syr.edu. The following video is currently posted on the C-SPAN website, and pulls from CBS News coverage of Dr. King’s funeral in Atlanta on April 9, 1968. In July 1965 Dr. Martin Luther King, Jr. visited the campus of Syracuse University and spoke at Sims Hall. He was introduced by his longtime friend and Syracuse faculty member Dr. Charles Willie. This recording of his speech comes from the Syracuse University Archives. Dr. Kings legacy continues to live not only in the hearts and minds of Americans. It also lives at a center dedicated to his life, located in Atlanta. MLK Center in Atlanta from Syracuse University News on Vimeo.